In this day and age, many cities are trying to build higher and higher. However, some cities have rules in place to ensure that this doesn't happen. View of Athens skyline, with buildings giving unobstructed view of the Parthenon. For 200 years, buildings in Saint Petersburg were subject to a 23.4 m height restriction, matching the height of the eave of the Winter Palace. The Winter Palace is a crucial landmark in the city, and the government did not want it overshadowed by other buildings. The height restrictions were removed in the 1960s however, and since that time, many tallest buildings have been constructed in Saint Petersburg. San Jose in the United States is a city with a maximum height of 91 meters due to its proximity to the San Jose International Airport. All other structures in this city should not be more than 91 meters in height so than they cannot interrupt the air transport in the airport. 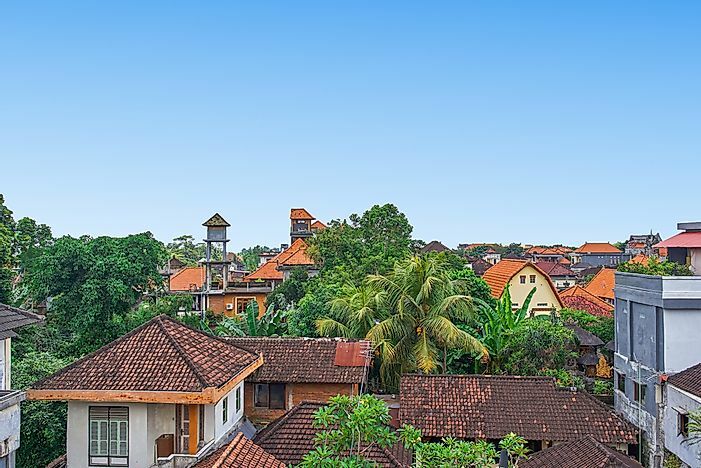 In Bali, a structure cannot exceed 15 meters, approximately the height of a coconut tree. The 10-story Bali Beach Hotel is the only building in Indonesia which breaks the height restriction as the hotel was constructed in 1966, prior to enactment of height restriction laws in the 1970s. Proximity to the Paya Lebar Airbase limits the height of many high-rise buildings in Singapore. The height restriction imposes a 280 m height cap on buildings, with the 290 m Tanjong Pagar Centre currently being the only building to be exempt from the height restriction and simultaneously becoming the tallest building in Singapore. View of downtown Montreal from Mount Royal. 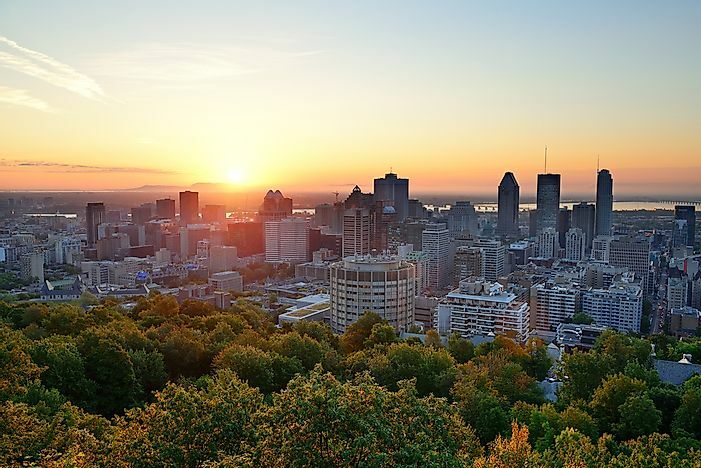 The city of Montreal in Quebec is built around the beautiful Mount Royal. To preserve view of the city's green space and namesake, the city imposed a height restriction of no more than 10 stories on buildings until the late 1920s. Today, the city's heigh restriction limits buildings to a height of 200 meters. Communication towers and antennas are the only exceptions to the height restriction laws and can reach a height of 223 meters. The Gauchetiere Tower, built as a special project in 1992, is the only building taller than the height restriction. Athens limits buildings to 12 floors so as not to block the view of the Parthenon. However, there are several buildings that are taller than the height restrictions. Athens Tower, Piraeus Tower, Apollo Tower, the Atrina Center, and the OTE all exceed the height restriction. 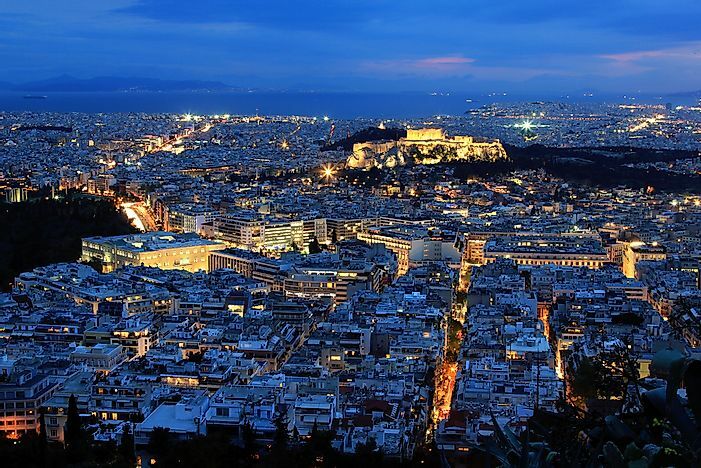 At 25 floors and 103 m tall, Athens Tower is the tallest structure in the city. The tower, constructed between 1968 to 1971, fell during a period when the height restrictions in the city were lifted. Prior to 1968, the restriction capped building height at 35 meters. After 1985, the maximum height is restricted at 27 meters. United States does not allow the building of antennas of more than 2000 meters because they can disrupt air flights. The height of the structures in Washington is restricted to be same height as that of the street adjacent plus 6.1 to 27 meters on the streets of residents. The height can go up to 40 meters for the case of commercial streets and up to 49 meters on parts of Pennsylvania Avenue. These height restriction laws were enacted in 1989 by the United States Congress as the Height of Buildings Act of 1989. 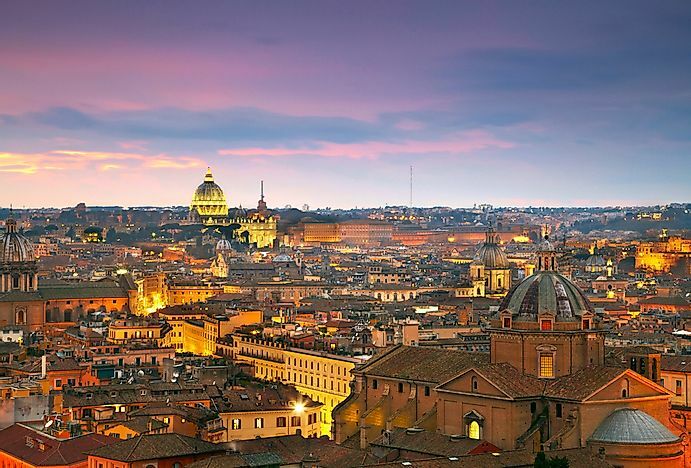 Rome is a capital city of Italy. All buildings in central Rome may not go beyond a height of 136 meters, the height of the dome of St. Peter’s Basilica. Torre Eurosky/Eurosky Tower, built in 2012, exceeds the height rescrictions, making it the tallest building in the city at 155 meters high. Madison is the capital and second-most populous city of Wisconsin. The Wisconsin State Capitol building is the tallest building in Madison, due to a 1966 legislation that restricts the height of buildings within a one mile radius of the Capitol. Buildings within the restriction zone must be no taller than the 187 ft columns surrounding the dome. Whitehorse serves as the capital city of Yukon in northern Canada. The close fault line in this city prevents the construction of buildings higher than four stories in the city of Whitehorse. This height restriction has dramatically discouraged business in the city according to the Whitehorse Chamber of Commerce. A proposal to heighten the buildings to eight stories was rejected in the year 2007. To build structures higher that the set limit, application to the official community plan of the city for an amendment. The Eiffel Tower is by far the tallest building in the city at 1,063 feet. However, the Tour Montparnasse, at 689 feet, rises above the surrounding buildings. This building, disliked by so many Parisians, led to a city-wide height rescriction of 121 feet put in place in 1977. It was not until 2010 that the height limit was increased to 590 feet, specifically for the construction of office buildings at the 13th arrondissement. Shrinking Cities - Which Cities Are Getting Smaller?